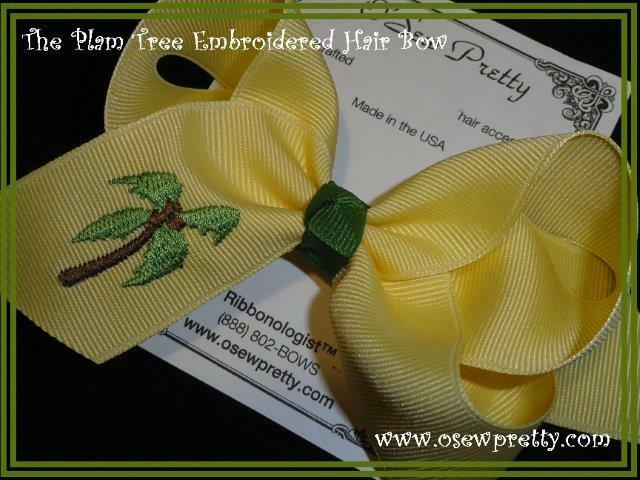 A embroidered Palm Tree hair bow in your choice of sizes and colors. Choose from any of our solid grosgrain and design just the right color hair bow to match her summer clothing. Available in several sizes. Medium long 4" across 7/8" ribbon.